There is a general misconception that the success or failure of a business is determined by the entrepreneur’s culture and community. I would like to specifically point out a Kenyan community called the Kalenjin community. Generally, it’s believed that this community is not as endowed and gifted in entrepreneurship compared to other communities. In Kericho town for instance, the Kikuyu and the Indian communities are crowned the kings of business, and it is supposed that they run most successful businesses in town. So what about the locals? Is it true that they don’t know business? Well, I am in the contrary to this. Come with me slowly, as I seek to prove this assumption as totally wrong! Kalenjin is a community that largely depends on farming activities such as cultivating grains like millet, maize sorghum as well as keeping of chicken, cattle, sheep and goats. However, some of those in the urban settlements run large, successful businesses, while others strive to improve their small businesses, using the little available resources to make sure that they make ends meet. Talk of the Mutais’ owned wholesalers’ and hardware stores, Chepseon traders boutiques, Alex’s Eagle cyber cafes, Mwananchi hotel and Quick Service restaurant just bust to mention the few booming businesses in Kericho town. The hustlers like charcoal vendors, jua kali artisans, tailors, shoe shiners, fruit vendors and many more so determined to grow and expand. 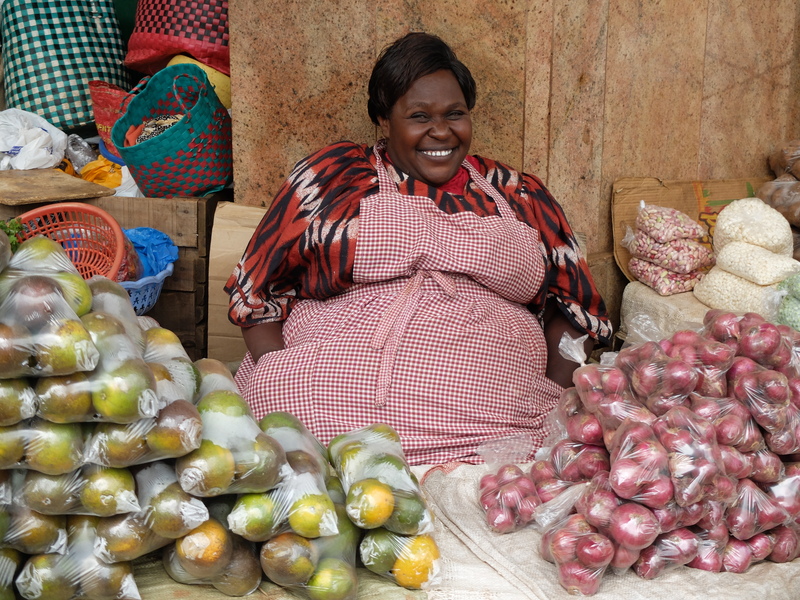 I have always been challenged by this mother, who sells vegetables just at the entrance of Tuskys supermarket, always ready and available never to disappoint her many customers. As the 4pm rush hour approaches, she is well set putting everything in place she needs for her job. It’s not until you come closer that you notice that she is physically challenged but determined to make her dreams come true. 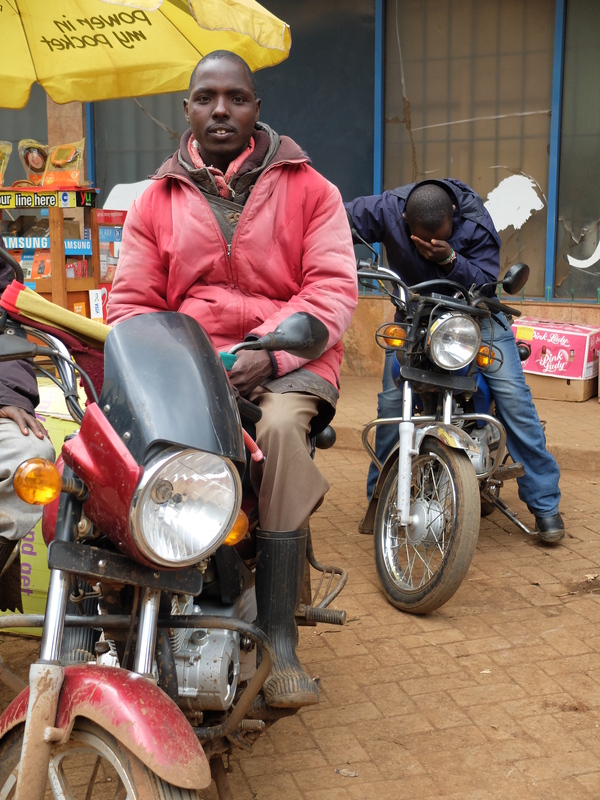 Early in the morning in Kericho town, you see motorbike riders commonly known as the ‘bodaboda’, dressed like they are going to the moon, waking up to their daily duties – that of carrying people to work and students to school. Definitely, they ought to be the early bird, not only to catch the worm, but also to provide the worm to their clients. Men and women both young and old come from as far as the farthest villages you can imagine. They bring their farm produce where some will deliver in wholesale; others have ready orders from the hotels and restaurants. The older women make sure that you don’t miss your favorite traditional vegetables like isakek, isoiik, nderemek and the fermented milk popularly known as mursik. The ever aggressive youth here have refused to bow down to the millions of challenges encountered on a daily basis. On a Wednesday night, you will see young men pulling handcarts carrying heavy luggage from Total (popularly known as Caltex) towards the town market center in preparation for the next day – Thursday – which is normally a market day (Ndonyo). As you alight from the bus stage, you are greeted by these street vendors popularly known as hawkers, each singing to a different tune depending on what they would like you to buy from them. People here and generally in Kenya don’t seem to care so much about the quality of a product or service, but rather about whether or not it serves the intended purpose. This makes it even easier for one to start up a business with the little savings they have. All you need is to be aggressive, know the market demands and be creative. 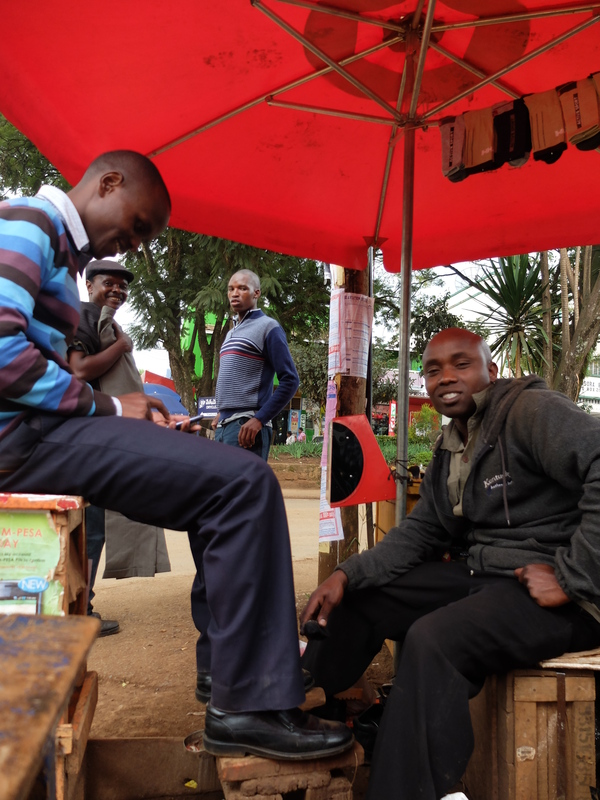 Benard Keter runs Rewards Printing Services in Kericho, and is on the Balloon Kenya Entrepreneur Programme, working with Balloon fellows Lisa Freiburg and Ellie Stretch.